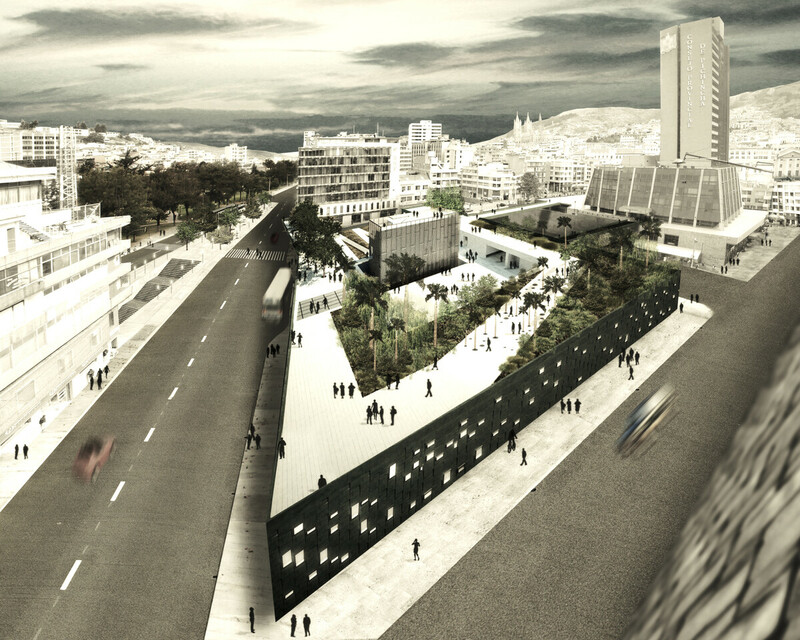 Plaza República proposes to transform a derelict urban surface into a new cultural landscape that provides the city with a new high quality fine grain open space, complimentary to the adjacent Alameda Park; a new urban piece that can act as a catalyzer for future urban transformations in the Alameda district. 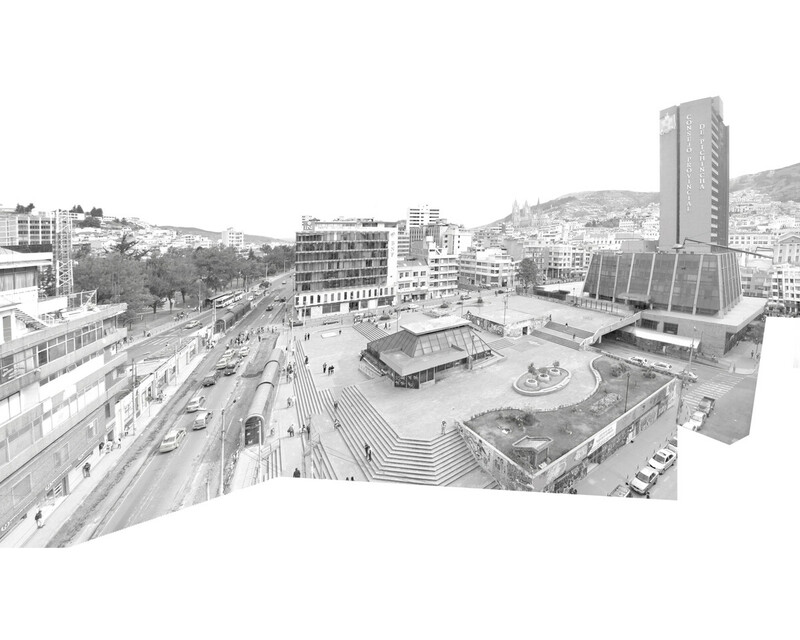 The project involves reconfiguring a derelict plaza, which today is part of the provincial government offices, into a new gallery and public space for the city, recuperating a sunken auditorium that is part of the original design. 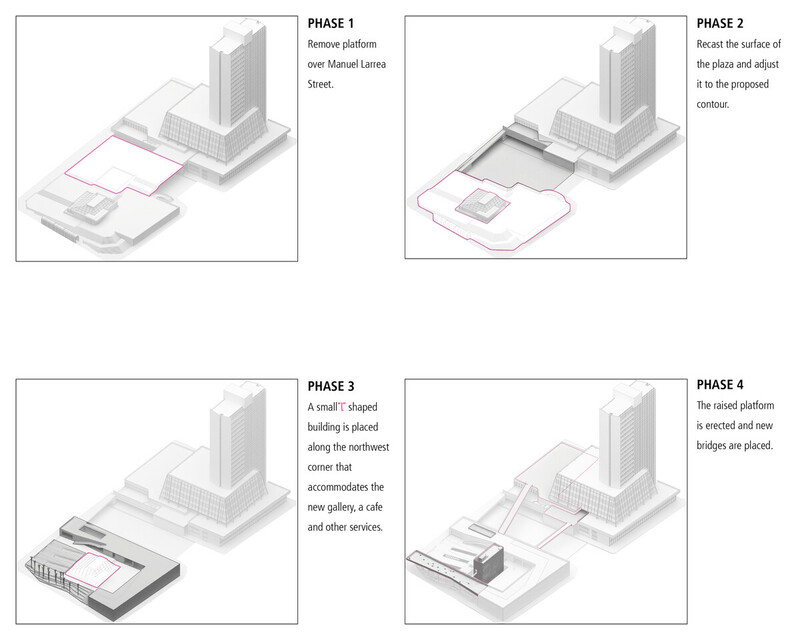 Through four precise design operations, the original superblock is split, and the plaza is given a new identity. 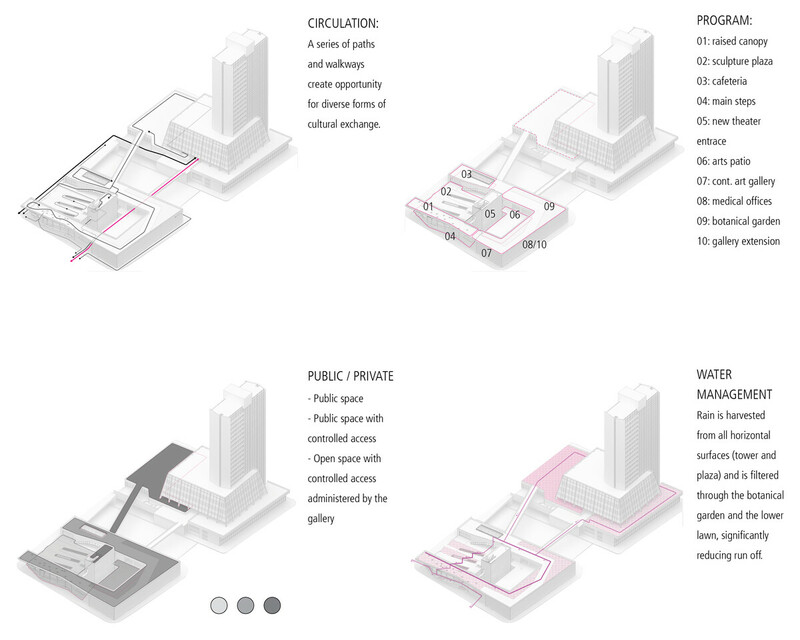 The multiple forms of circulation, the definition of public, and mass private open spaces, and the introduction of a rain water collection mechanism sets the stage for the different programs in the complex. 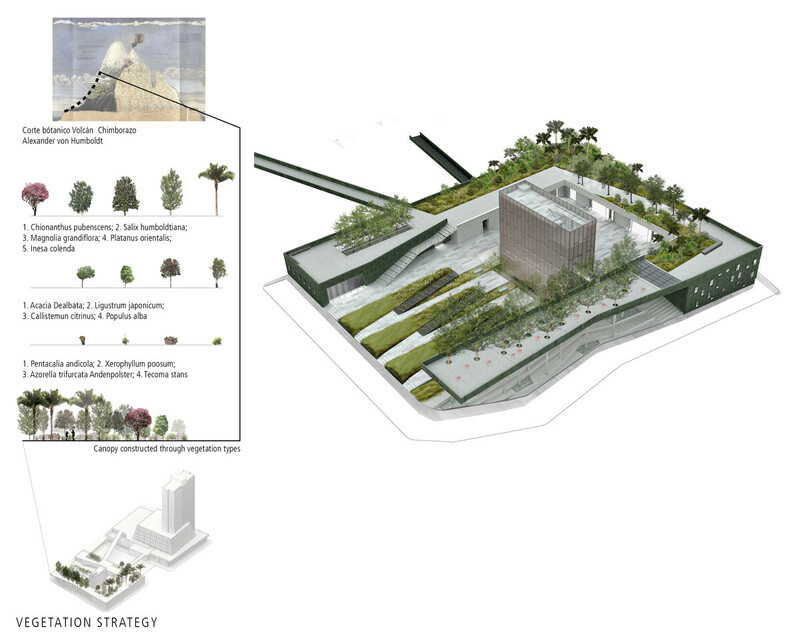 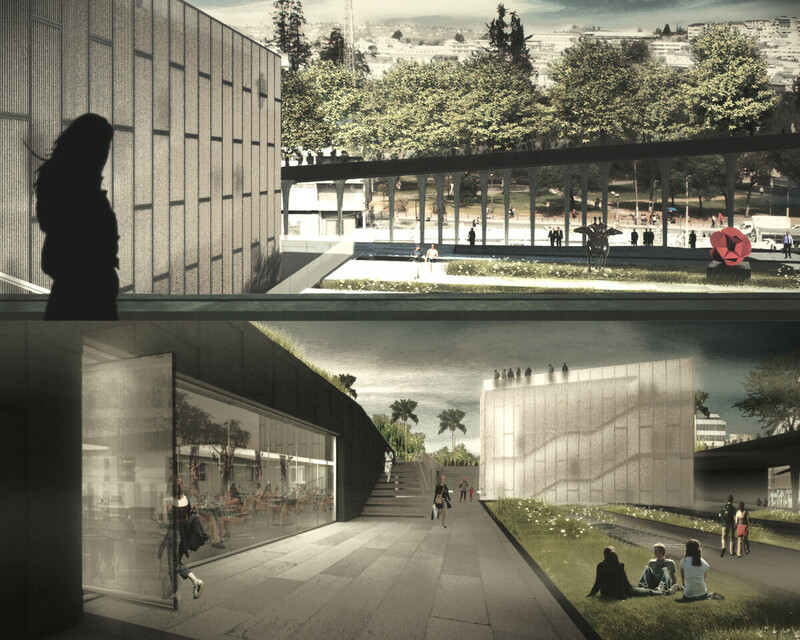 Drawing from the rich biodiversity of the Andes mountain range, the botanical strategy brings a collection of plants from different altitudes in the region, and creates a rooftop nursery for the replacement of trees in the adjacent Alameda Park. 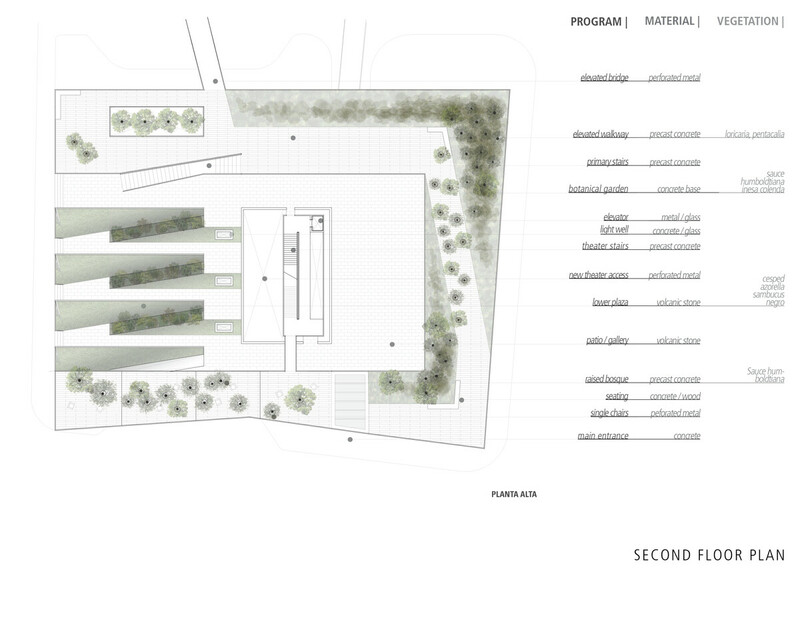 The ground floor plan contains the new gallery space, a cafe and the new bridge access to the tower across the street. 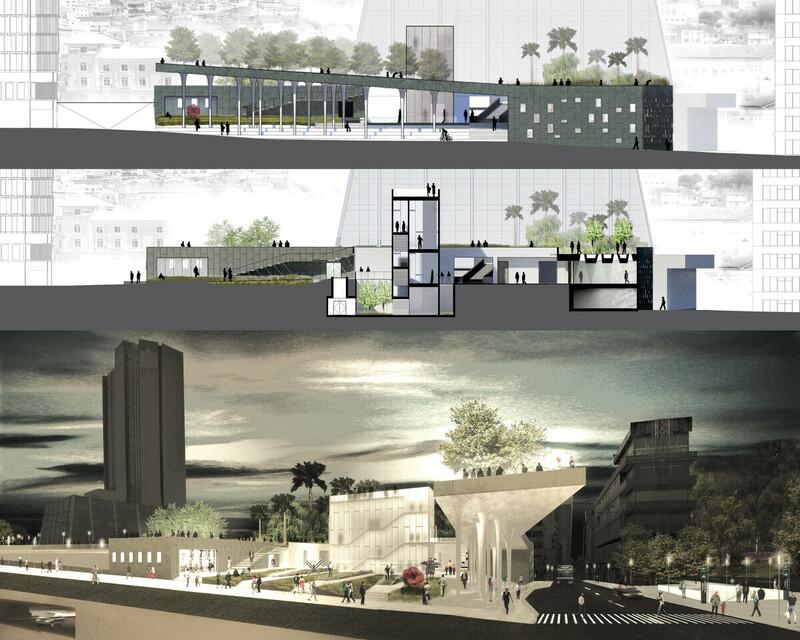 The second floor contains an elevated park and the botanical garden. 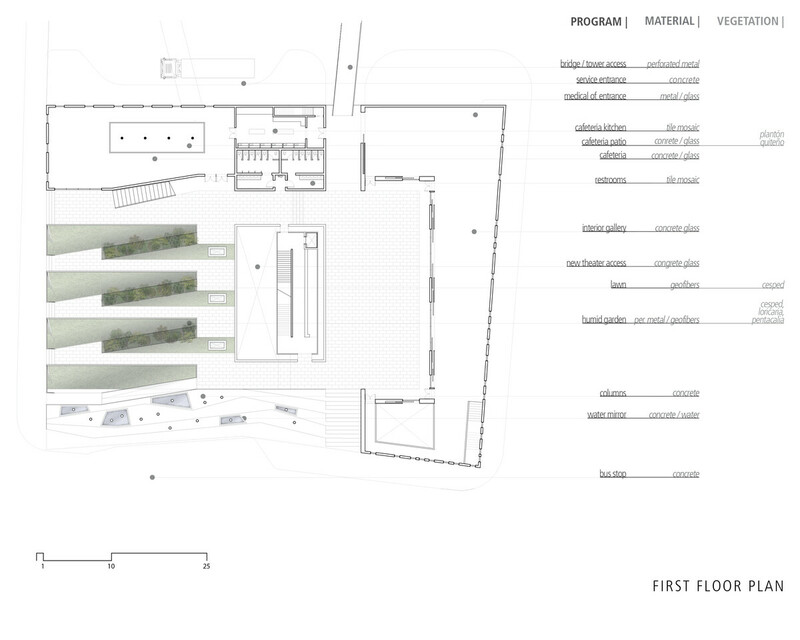 Through a careful reconfiguration of the plaza’s section, the lobby of the sunken auditorium is daylit and the theater is incorporated into the new gallery spaces.